First, join your Flipd class with the 5-digit class code provided by your instructor. Once you're joined in the right class, you can Flip Off by selecting the Class option on the Flipd home screen. 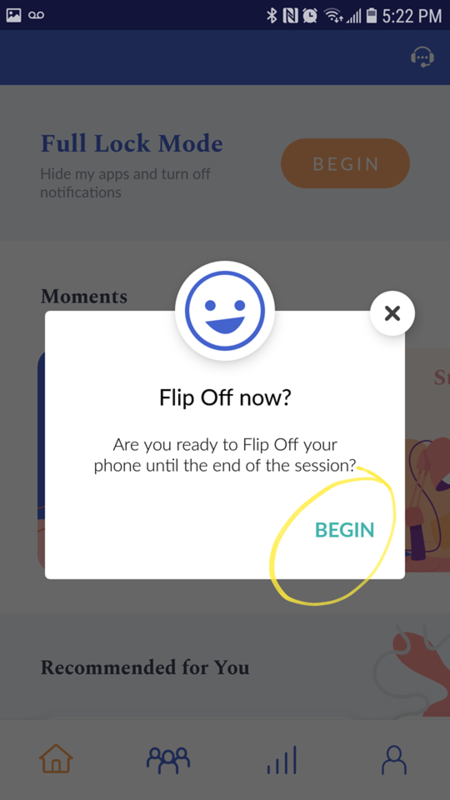 You can only Flip Off during class or up to 5 minutes prior when the class says 'Join Now'. For example, if your class is from 2-3 pm, you can Flip Off at 1:55 pm until 3 pm. If you attempt to Flip Off too early, you'll get a pop up telling you to come back later. Once you've successfully started your Flipd session, check-in with your attendance code — but only if your professor is using Flipd attendance. Then set your phone aside and avoid checking notifications in order to maintain your Flipd progress while the class is active. 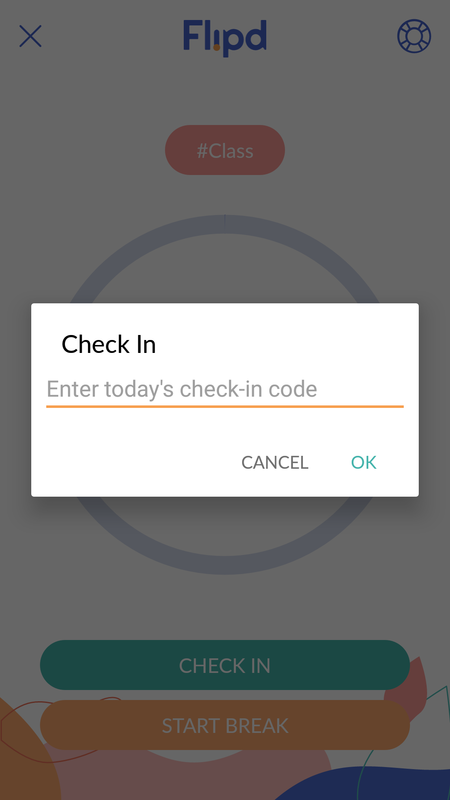 You can still check in without an internet connection — just make sure that the attendance code entered is correct. When Flipd connects to the internet again, your attendance will successfully sync up. Staying Flipd Off for the lecture means that you remain in the Flipd #class screen until the timer runs out. You can still lock your phone and set it aside, but if you open your phone and attempt to leave Flipd to check something you will get a notification to remind you that you have 10 seconds to return. 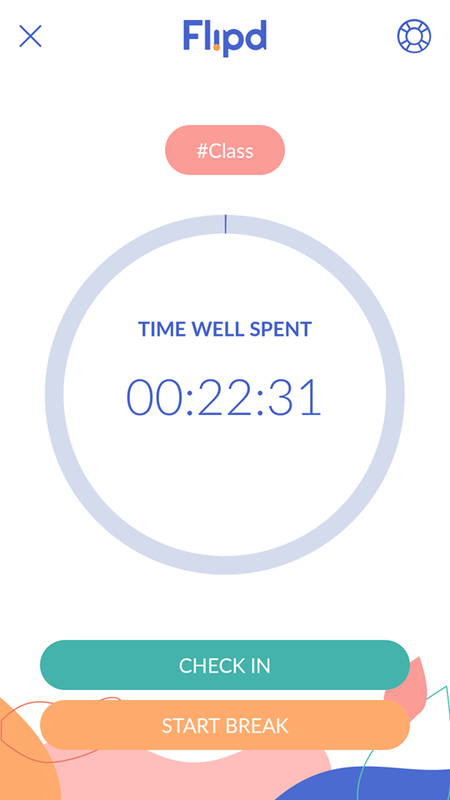 Tip: If you don't come back to Flipd within 10 seconds, the Flipd timer will expire. You can always start it again, but every minute you spend outside of Flipd will be measured in your progress. You can still Flip Off for class even if you're not part of a class yet. 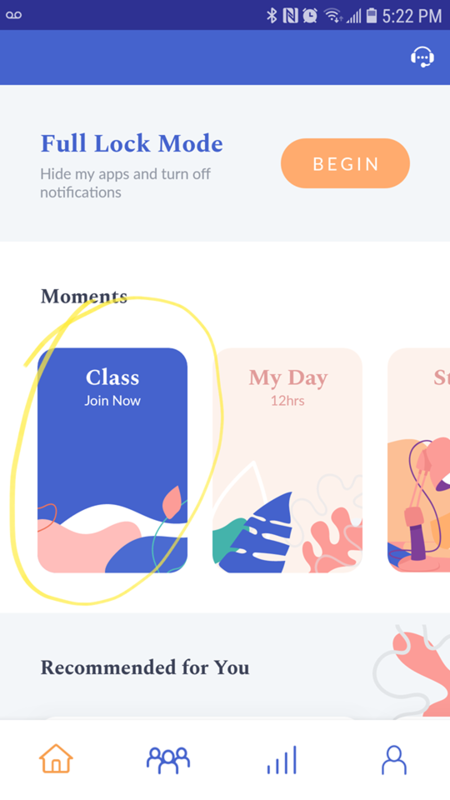 All of your time accumulated during the class period will be synced up once you've joined the class. Join a class as soon as possible, or send a message to Flipd Support if you have trouble. To stay Flipd Off for class, simply Flip Off your phone, lock your screen, and set your phone aside until class is over. Each time you open your screen, check your notifications, or leave Flipd during the countdown, you run the risk of ending the Flipd session. The point is to help you develop more intentional phone-use behavior, and this skill will help you in other important activities — like studying, writing, working, and even spending time with friends. Find out how you can also use Flipd outside of class to stay focused while you study. Got questions? Check out our FAQ Knowledge Base to find answers quickly. If you can't find what your looking for, chat with us in the app or send a message to info@flipdapp.co with any relevant details and/or screenshots related to your issue. Our support team usually responds within 1 business day or less.